Hand printing wood shows all its natural beauty and mystery. This is achieved through the Shou Sugi Ban technique of sanding the wood; burning it with a blow torch to create a relief surface; careful brushing away of ash; sealing with shellac and the wood is ready to print. All the printing is done by hand burnishing, so every millimetre of the wood has been pressed and rubbed onto the paper. A mindful process which takes time. It is a pure delight to print wood, and to revel in its natural shapes, patterns and mysteries. 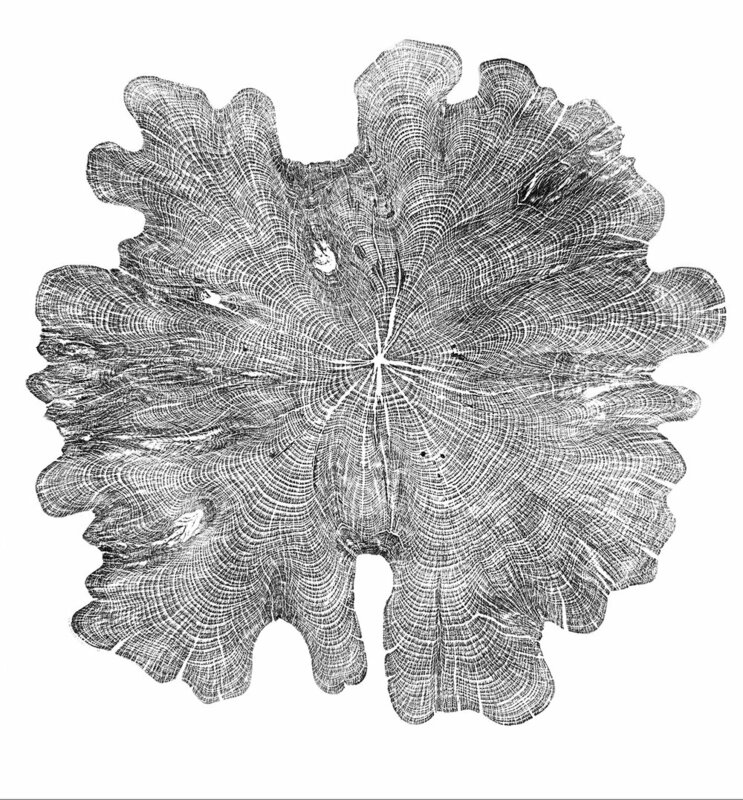 The prints especially of the Burr Elm have inspired flights of the imagination quickly and easily. This exhibition includes prints created using this technique with wood collected from Grizedale Forest and from wood collected form forests across Northumberland.